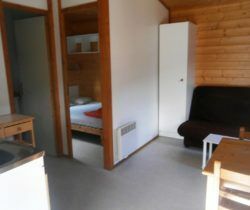 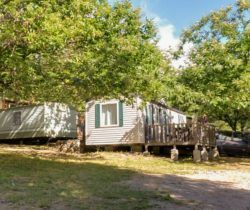 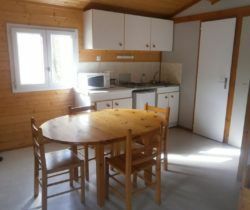 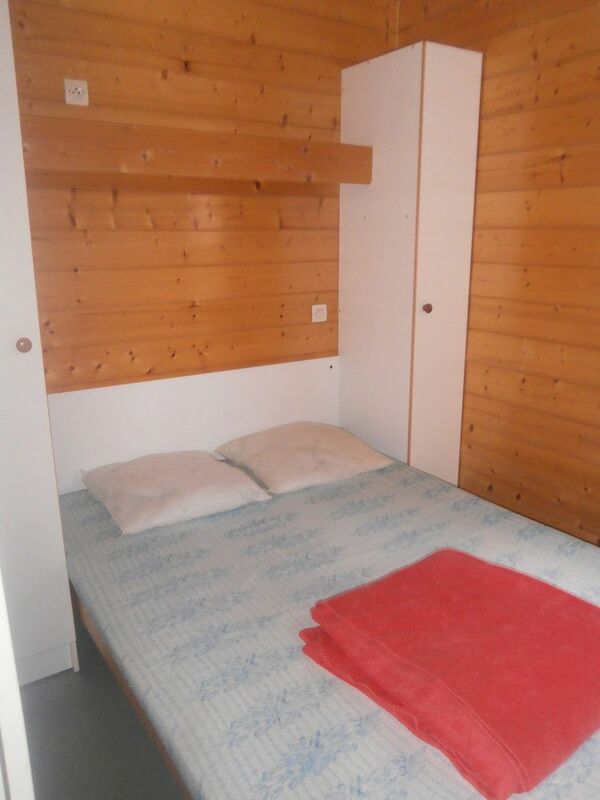 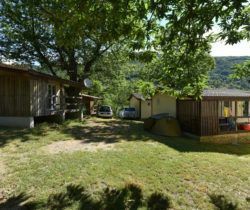 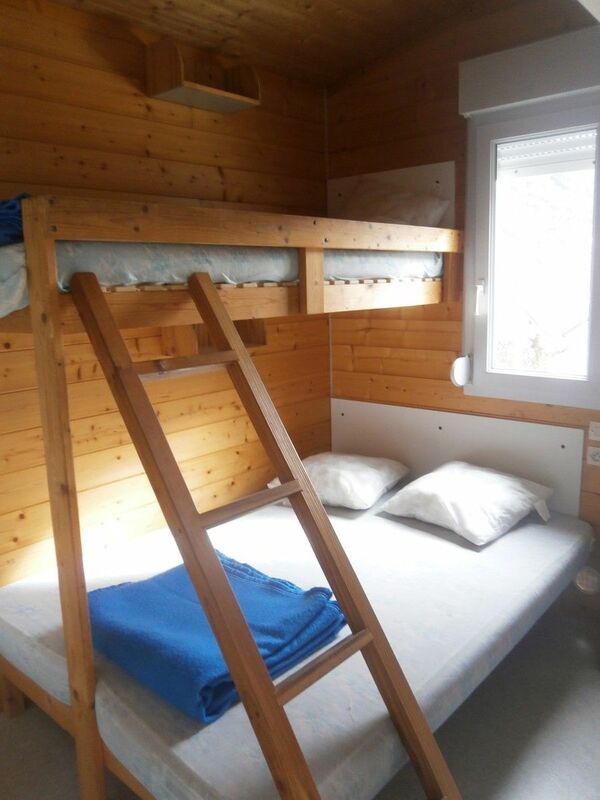 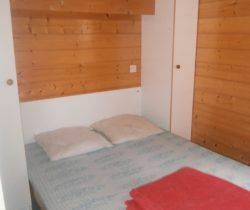 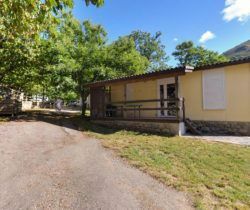 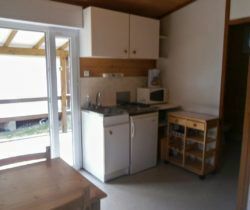 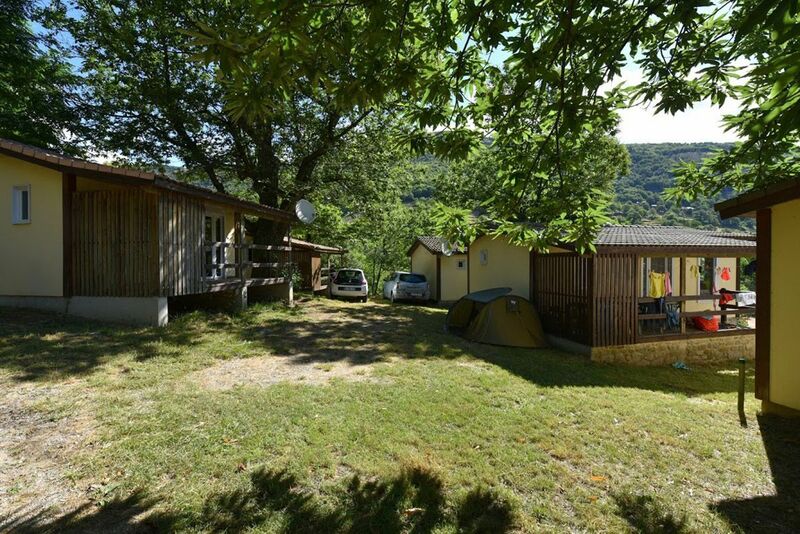 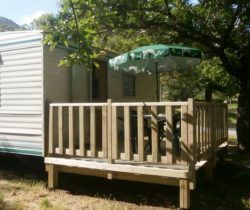 La Drobie camp-site also rents fully-equipped and very comfortable chalets and Mobile Homes. 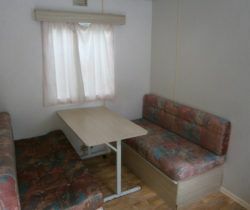 1 convertible double bed/sofa in the lounge. 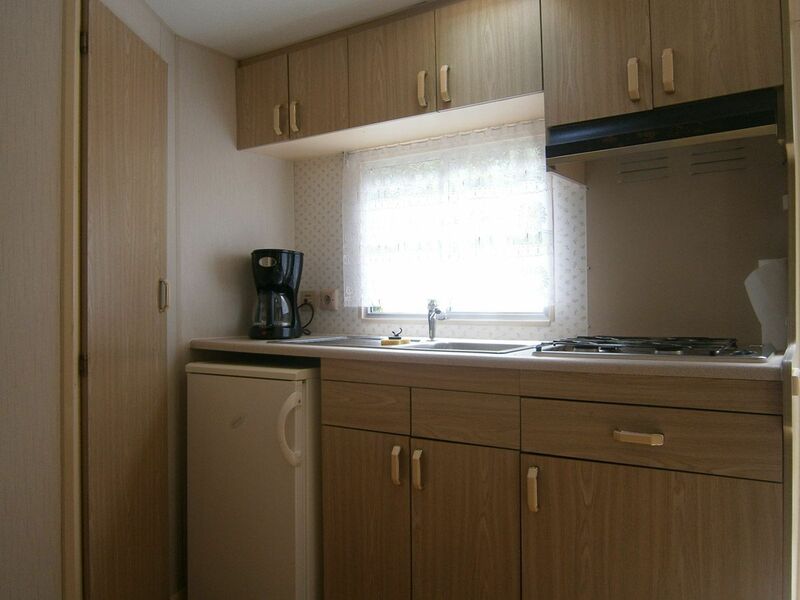 Crockery and saucepans for 4. 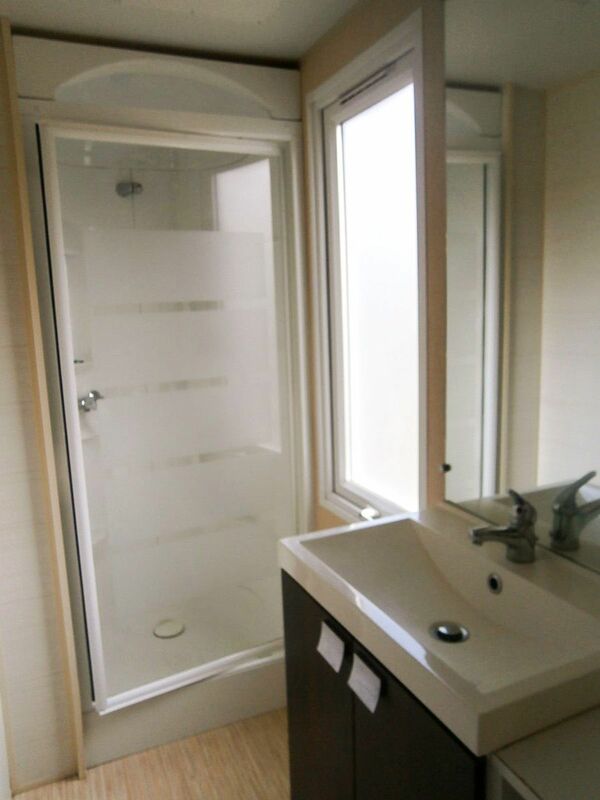 Bathroom with shower, wash-hand basin and WC. 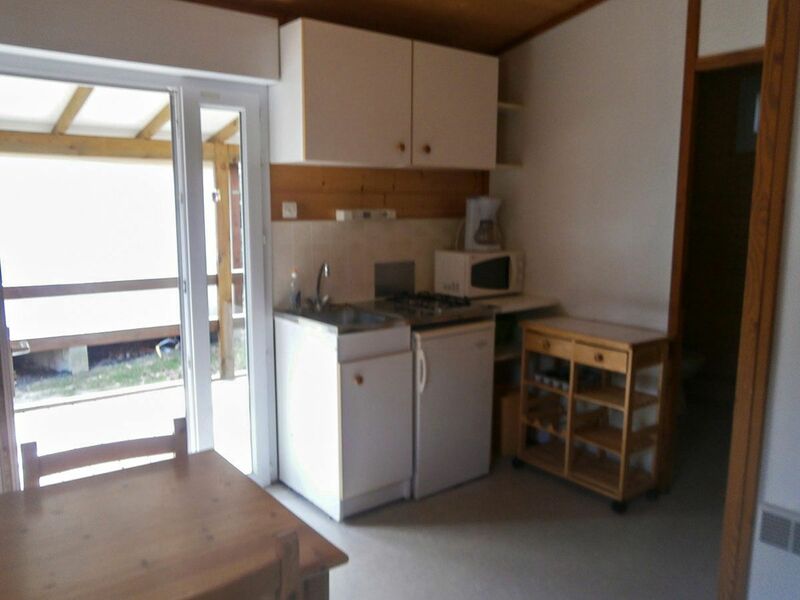 Crockery and saucepans for 5. 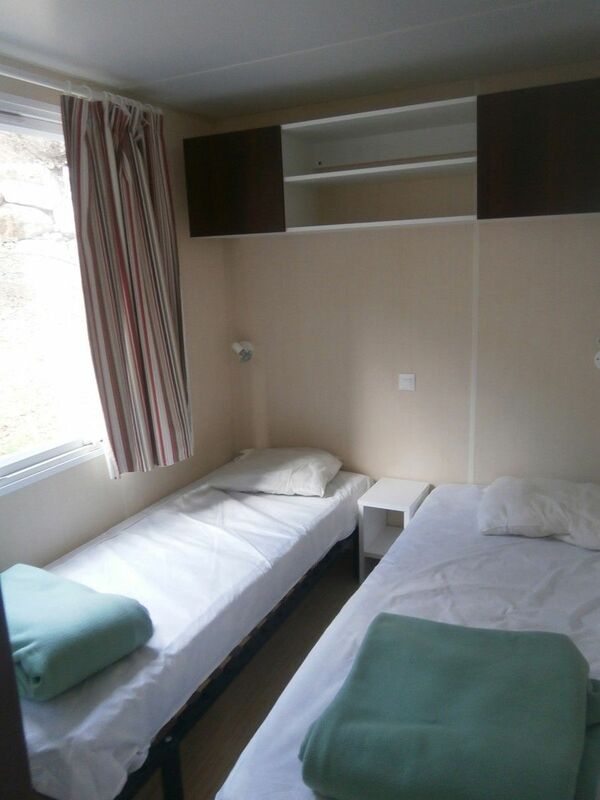 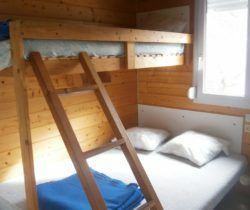 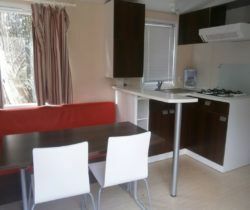 1 bedroom with 1 single bed and 2 bunk beds. 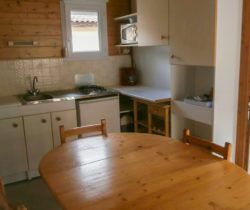 Crockery and saucepans for 7. 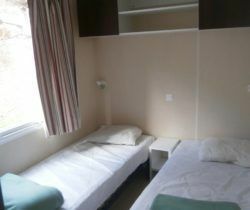 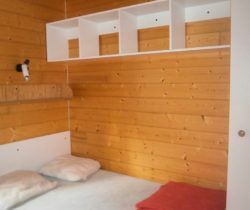 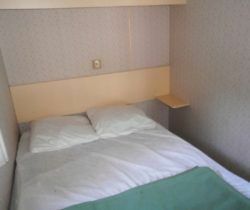 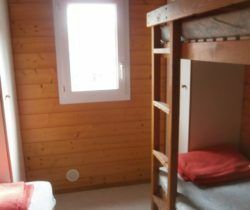 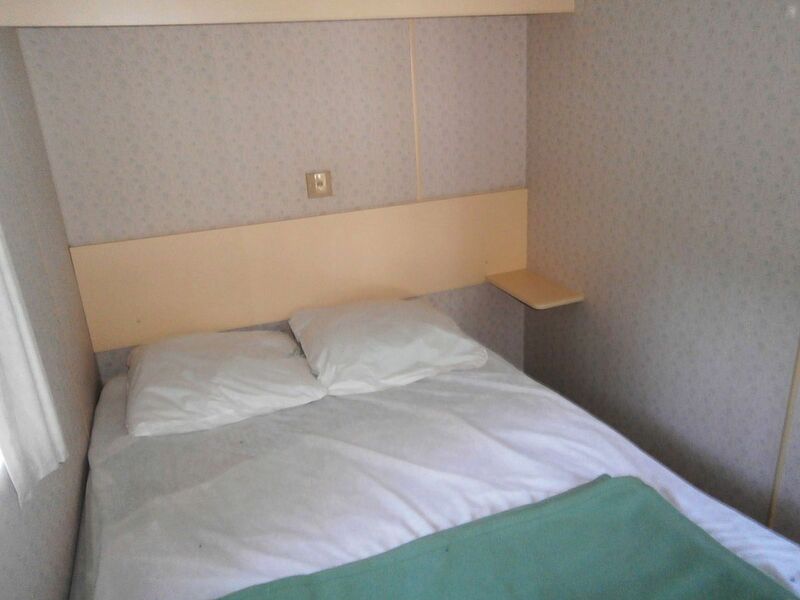 1 bedroom with 3 single beds (including 1 bunk bed). 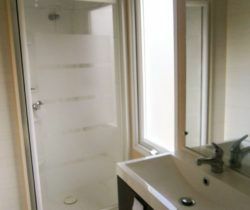 Bathroom with shower and wash-hand basin. 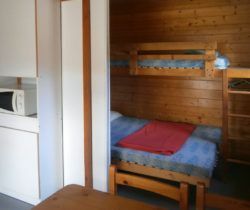 Camp-site sanitation unit with showers, wash-hand basins and WCs. 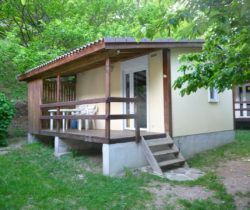 Covered wooden terrace with garden furniture and parasol. 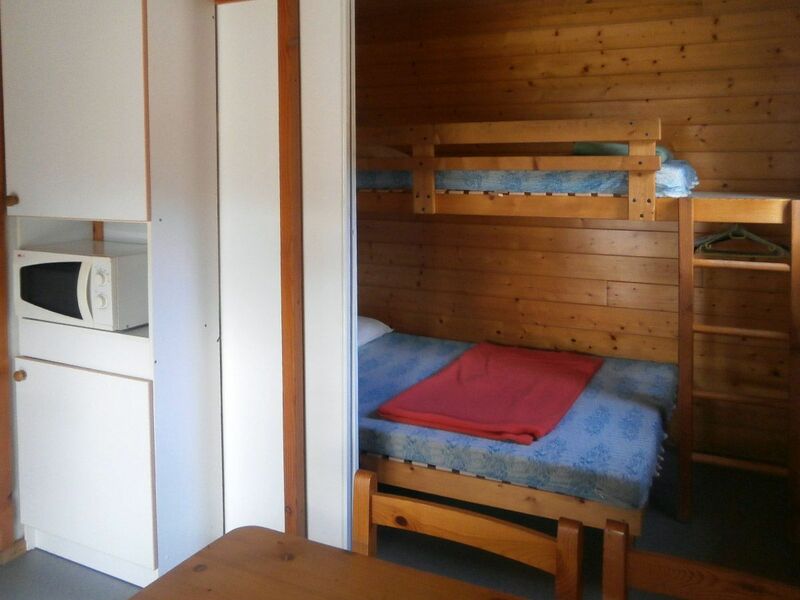 Crockery and saucepans for 6. 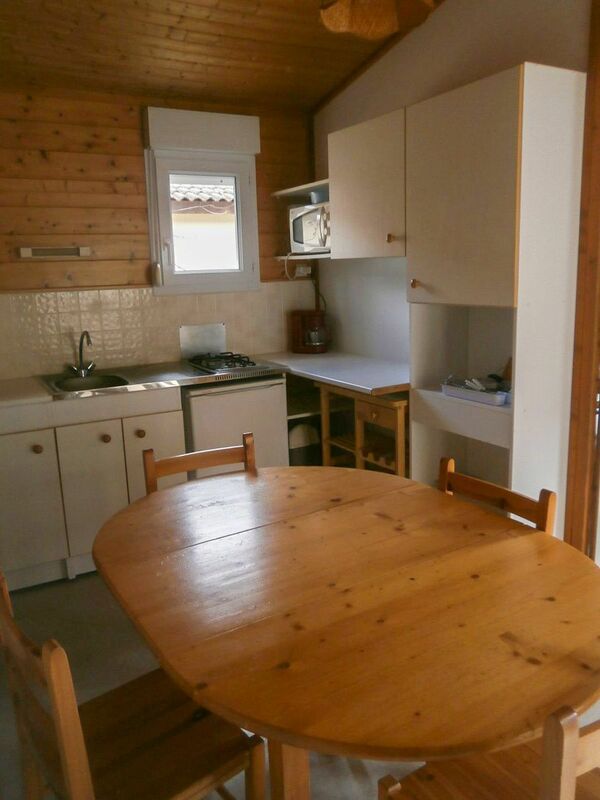 Uncovered wooden terrace with garden furniture. 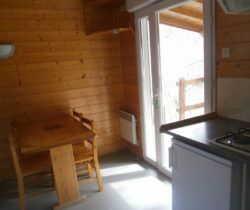 Weekly rental: from Saturday 3.00pm to the following Saturday 10.00am. 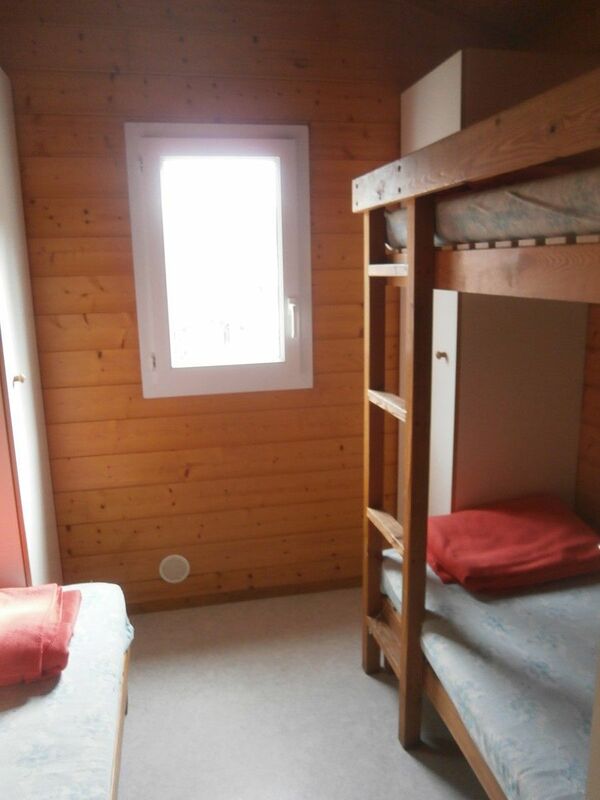 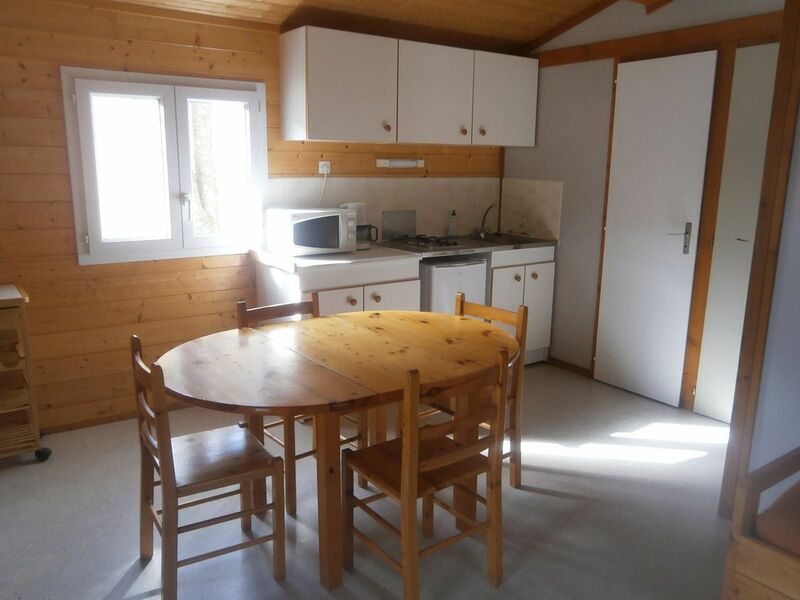 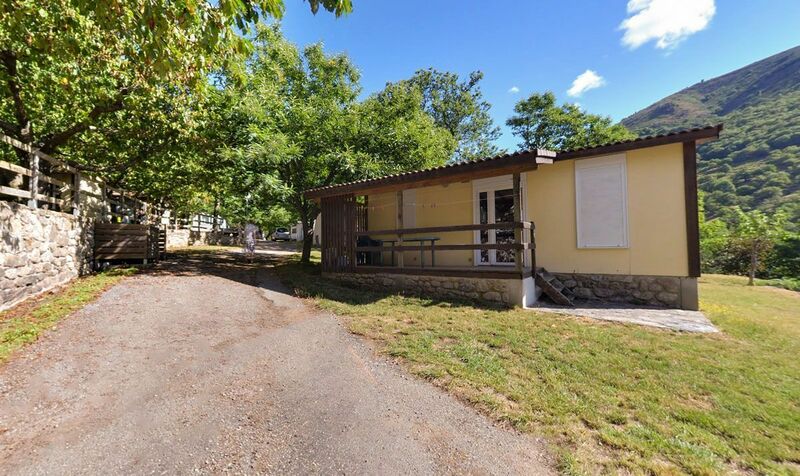 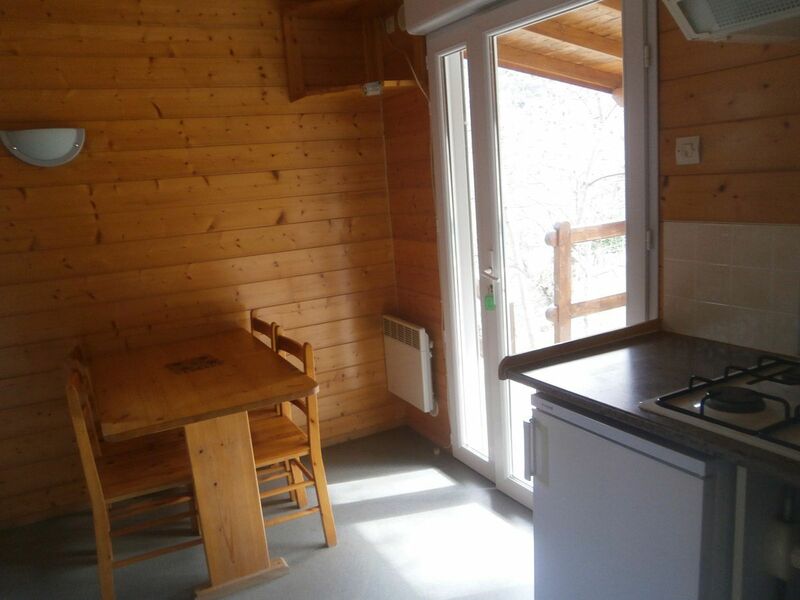 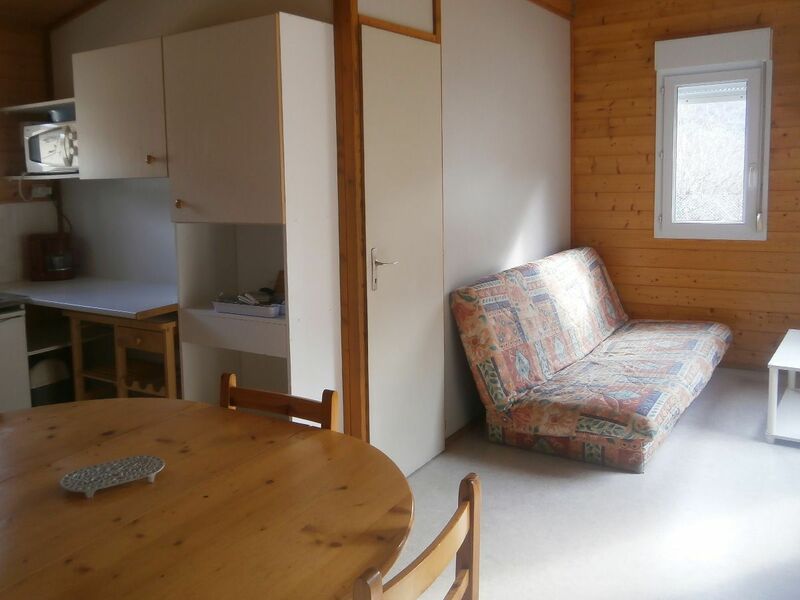 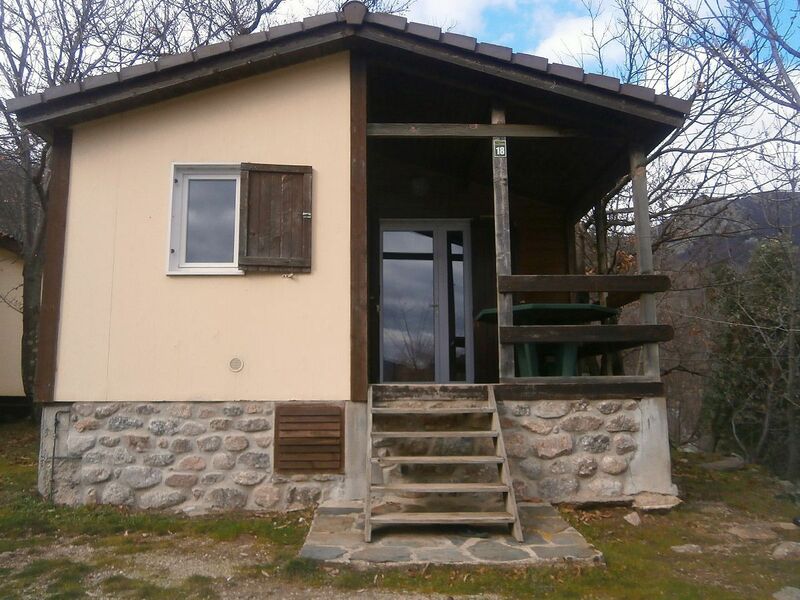 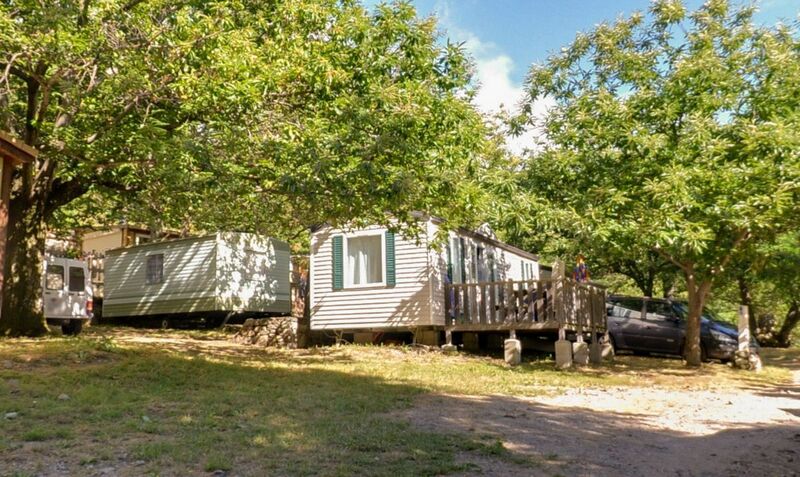 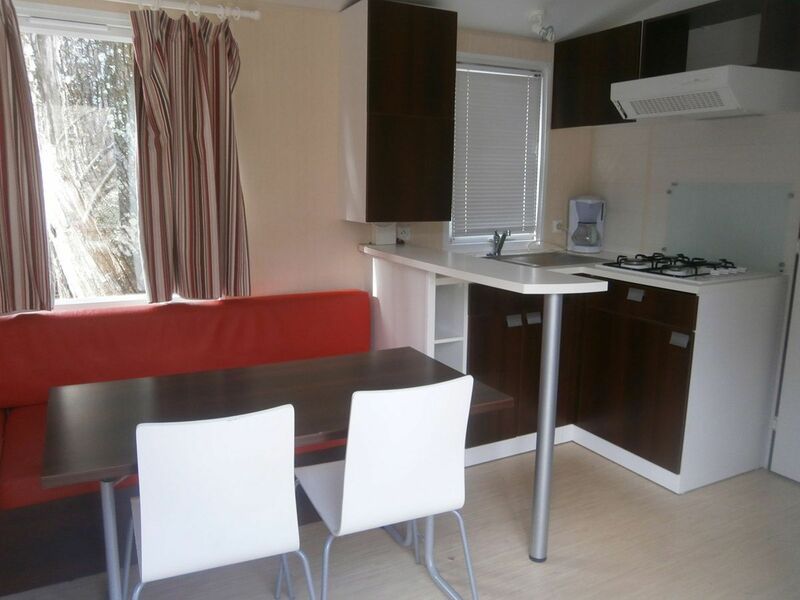 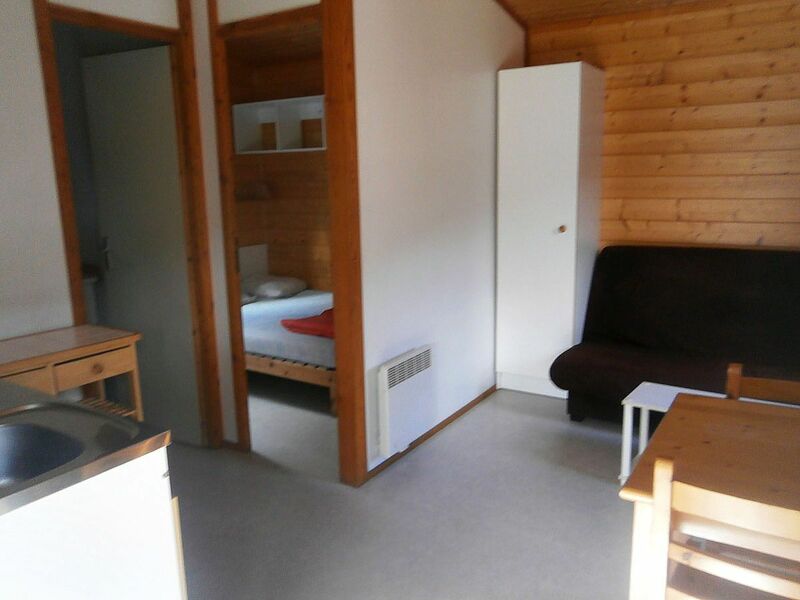 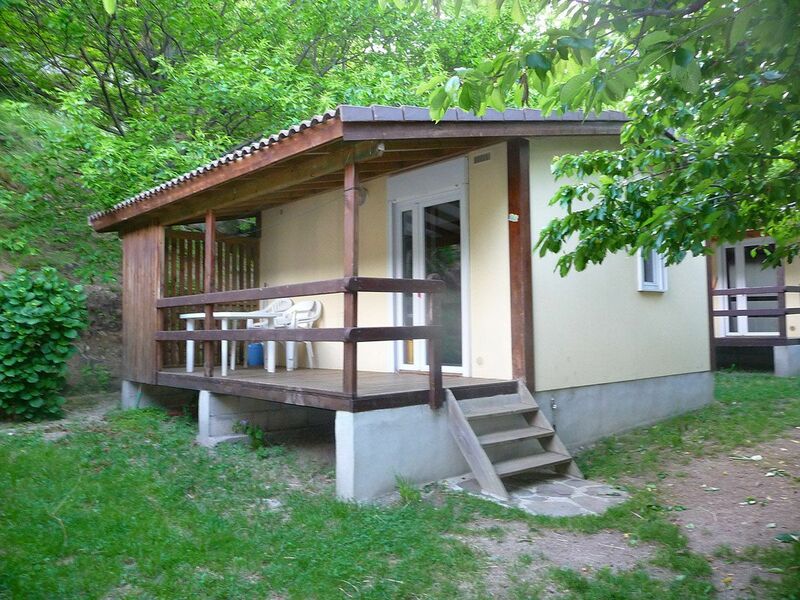 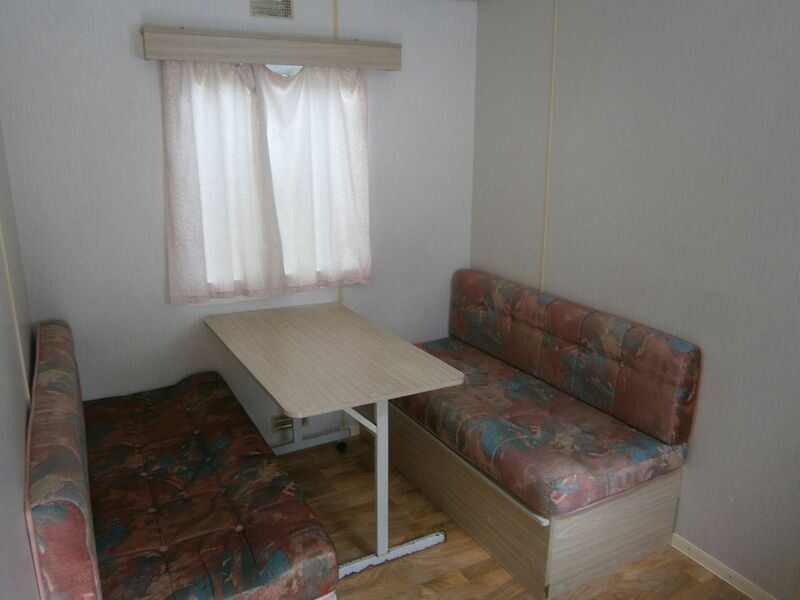 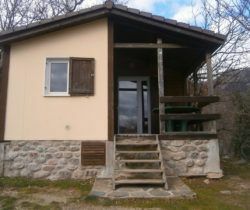 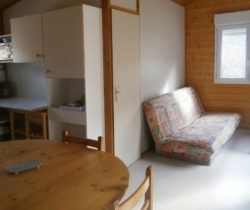 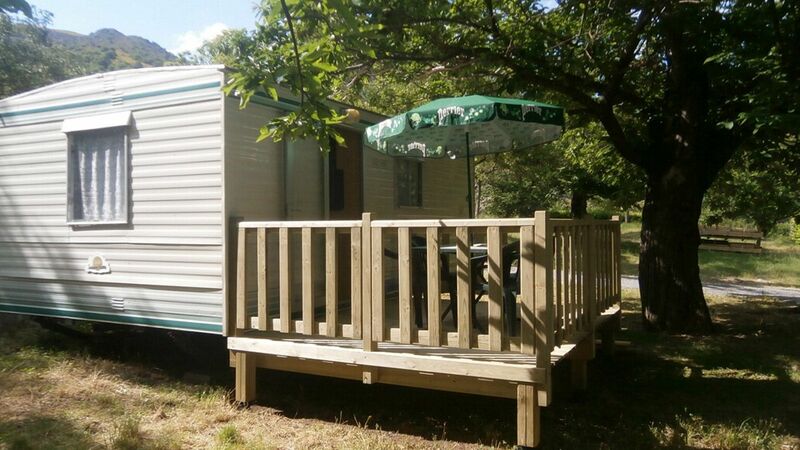 Nightly rental: from the day of arrival 12.00 Noon to the following day 12.00 Noon. 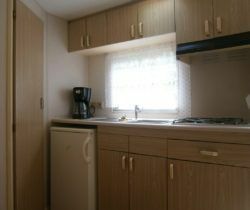 * Pet: compulsory vaccines, under the sole responsibility of their owner. 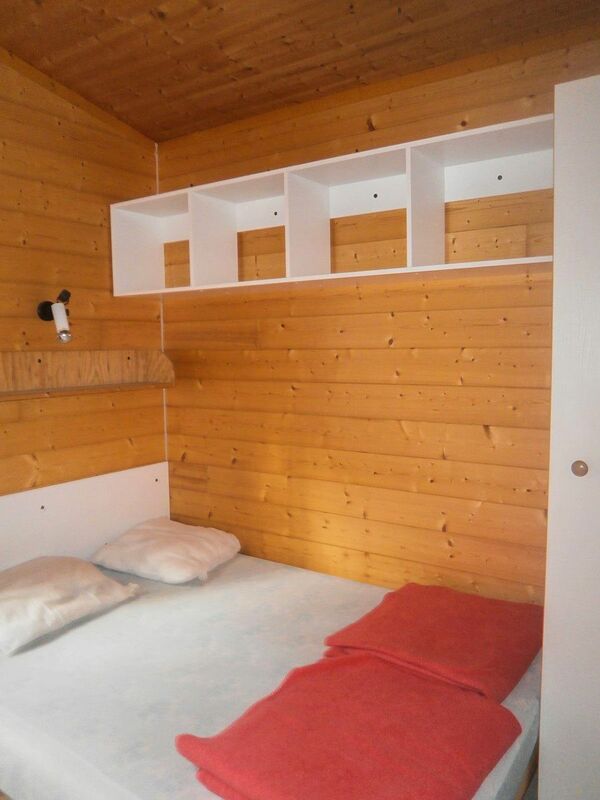 Dogs of 1st and 2nd category are not allowed.